I’ve used many Acrylic primers in the past ten years or so and I’ve always gone back to this one as my favourite. It’s easy to use, offers great coverage, fantastic tooth and what’s more it’s the best value at half price, per litre found anywhere in London or online. Prior to using Acrylic, usually with 12oz Cotton Duck Canvas, I apply two coats and three before using Oil, using either a 80 mm C.Roberson & Co Priming Brush or a small radiator decorating roller with a foam or mohair head, bought from a DIY store. It also takes well to lightly sanding between coats for when needing a smooth a finish when I’m working in extra fine detail. For painters who stretch and prepare their own canvases or linen’s, or prepare wooden painting surfaces, primer is a bit of a bread and butter product and so it’s important to find one that’s both dependable but also within budget, especially for when working on a large scale and this one does it for me. These are lovely little things and very handy. They’re metal so they don’t wear and tear like plastic rulers, particularly when using them for cutting and trimming paper with a scalpel. This is the only metal ruler I’ve come across that fits in a regular size pencil case. What’s also fantastic about them is the measurement markings don’t rub off like the print on most smaller-plastic rulers, as the numbers and measurement markings are very slightly impressed and printed into the stainless steel. 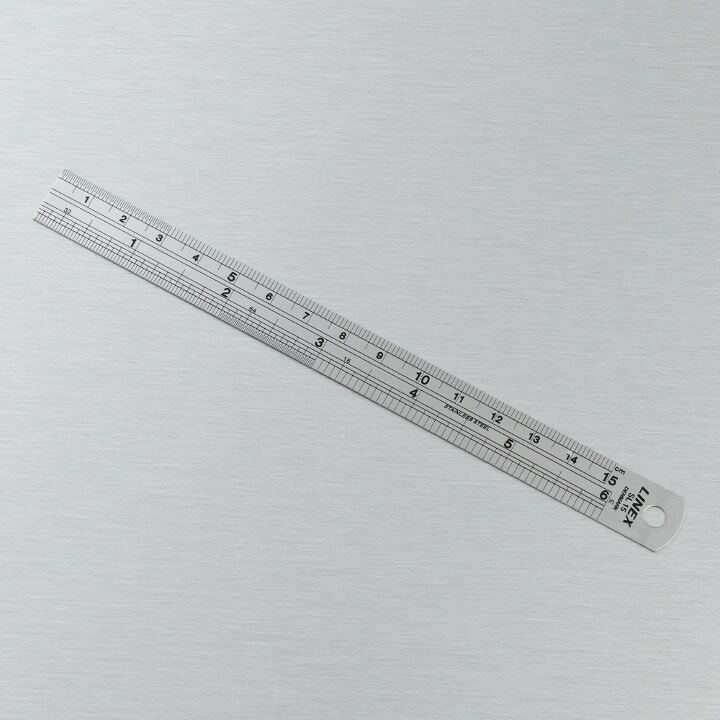 Whilst I have a number of 30cm, 45cm and 100cm metal rulers, when working in an intricate detailed approach, I’m lost without this ruler, as using larger rulers in contrast feels a much more cumbersome experience. 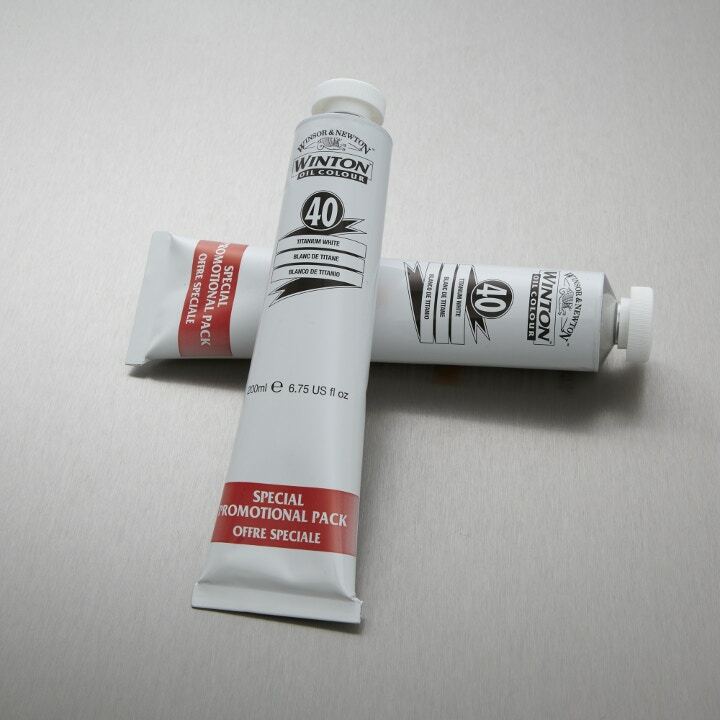 I’ve cheated a little by including different paint types, but whether it’s Liquitex H.B or Golden Acrylic, Michael Harding Oil or Liquitex Spray Paint, I confess, I panic buy Titanium white, like it’s going out of fashion, but this is for good reason. Whether, using it in under-painting, colour mixing or in use as a colour in its own right; the uses and necessity of white in all creativity as well as specifically in painting are vast. It’s indicative, as a colour it by far outsells any other colour, in any of our paint ranges across all of our stores. 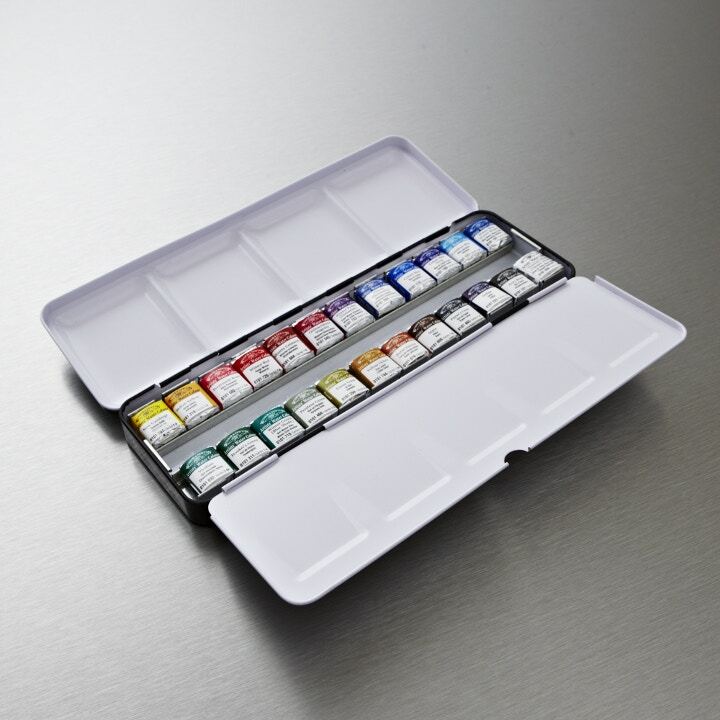 Whether working indoors on paper producing finished watercolours, sketching out ideas for larger Oil paintings or just out and about doodling by the Thames, I’m never without this Artists Watercolour set. Winsor & Newton invented watercolours in the pan form we know today, so they know their colour. Winsor & Newton Artists Watercolour comprise of only single pure pigment colours with the highest permanence and lightfastness ratings and with this set at the price it is, there is no need to compromise on the highest quality available. The metal box is robust but also lightweight and in a handy slim size with the two lid compartments functioning as palettes. Whilst the set already contain 24 professional Half Pan colours, the centre space which can be used for keeping a small brush may also be used to keep further 11 colours and it can also accommodate Whole or Full Pans. 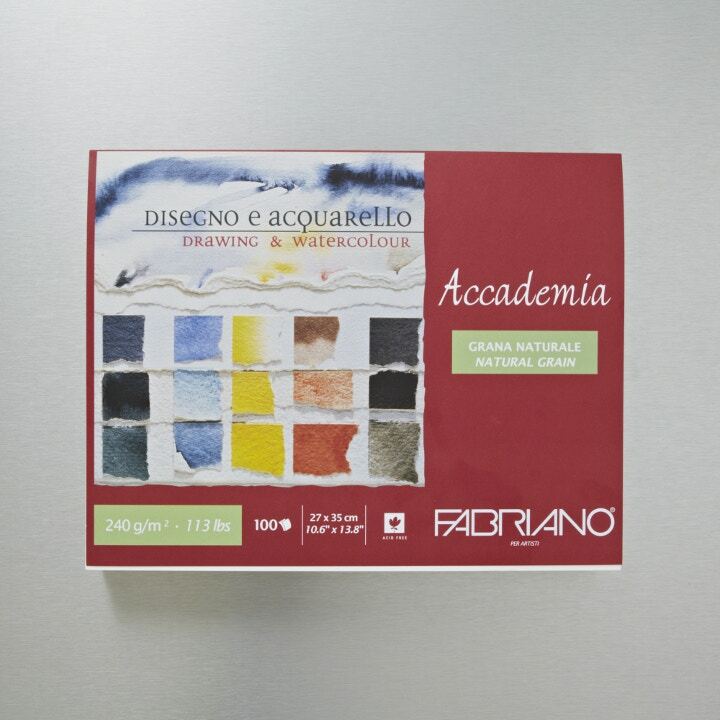 For me this set is a must for any artist, who may already use watercolour in the traditional sense but also those who just need accessible dependable, beautiful colour to figure out ideas or plans on paper. In a recent interview we did with the illustrator and cartoonist Marf, she spoke about how it’s typical that you’ll mess up working on the most expensive quality papers you’ve bought and often produce your best work whilst playing around on the more affordable stuff and this is really true. You never know when happy accidents are round the corner and turnout to prove a stroke of genius in hindsight. This is why more often than not, unless I know precisely what my outcome will look like, I work on this mid-level artist’s paper when using all sorts of dry media, pen, graphite or light watercolour. It is fantastic value for 100 sheets and the cost isn’t at the forefront of my mind when working, hindering my ability to take risks or do things a little differently. I usually have two of these on the go at once, one in my studio and one for at home. When I’m down to twenty sheets in either, it always goes straight on my shopping list. This paper is also extremely versatile; I even make my own Christmas cards with it and finish them off wonderfully in Fabriano Mediovalis envelopes. Christopher Bond is an artist and the Product Specialist at Cass Art and has exhibited his work widely throughout the UK and in Europe. He will be showing with Studio 1.1 at the forthcoming Sluice Art Fair on 19th & 20th October in London.